At first blush, it’s easy to see Thrawn: Alliances as an attempt to capture a bigger audience than just fans of Thrawn or fans of The Clone Wars. I think that’s a little too simple though – for one thing, there are people who are fans of both and see the whole thing as a false dichotomy. For another, cynicism doesn’t write books (at least not good ones) – interest in telling a story does. And if there was thought put into what the fans wanted, it was probably with the intent of delivering a story people would like as opposed to thinking of ways to make people open their wallets. So why did I bring up a false fandom dichotomy and a cynical sales theory in the first place? Well, I think there’s something there – but it’s not about fanservice or personal storytelling preferences. It’s about the idea of “more of the same” and how the combination of more Thrawn and more Clone Wars produced something new. This story is strongest when the Clone Wars setting and the character of Thrawn are put together – with the result that we also get a pretty good portrayal of Padmé Amidala and Anakin Skywalker in a storyline that wouldn’t feel out of place as a mini-arc in The Clone Wars. Maybe you bought the book for Anakin or for Thrawn, but you may end up enjoying how the rest of the book sheds insight on those characters. Personally, I went in excited about both Imperial intrigues and Padmé — but I ended up appreciating how it all came together. I avoid major plot spoilers below — but the Padmé section (“The Senator of Naboo”) has plot details you may not want to read until you’ve finished the novel. I like Thrawn – he was one of my favorite Expanded Universe characters, and certainly the source of the screen name I tend to use most places. But I got tired of him after a while, after later portrayals in the EU tended to both make him seem omnipotent (the fan culture didn’t help either) and whitewashed any idea of him being a villain. Thankfully, Thrawn’s return to canon brought back everything I liked about the character – Rebels gave him back his brilliant villainy while adding a distinct alienness he previously lacked, while Zahn’s first Thrawn novel gave us a look at a more flawed Thrawn who was very good at what he did, but had very clear shortcomings. Both Rebels and Thrawn also used Arihnda Pryce as Thrawn’s political complement, and her story was fascinating in itself (and was actually my favorite part of the novel). So while I knew Thrawn fatigue was something I’d experienced in the past, I was actually quite happy to see more of him. 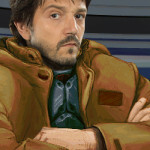 But I did not want to see the same Thrawn. Just as Thrawn was more than an elongated version of Thrawn’s EU origin story “Mist Encounter,” I didn’t want Thrawn: Alliances to be an elongated version of “Command Decision” (though there are some definite parallels that both novels have to those two Star Wars Adventure Journal short stories). This is where Anakin and/or Vader come in. Without getting too deep into spoilers, it’s pretty evident that the parallel story lines where Thrawn goes on a mission with Darth Vader in the Imperial era and helps Anakin on a mission in the Clone Wars era provide the basic framework for the story (it’s clear even from the covers of the two different editions of the book). More than that, the plotlines from each arc feed on each other. Alone, the Clone Wars plot doesn’t differ much from an arc of TCW, and the Imperial shenanigans with Vader and Thrawn figuring each other out don’t differ much from “Command Decision”. Both are great – especially if you liked TCW or Zahn’s previous Imperial books – but together, the interlocking chapters feed insights into each other and make the story more interesting as plot and (more importantly, in my opinon) character revelations help the audience make discoveries about the ongoing story. Admittedly, a Clone Wars-era Thrawn story alone would have been something different – it was a new story seed that we hadn’t expected from the Thrawn novel, and it would be new territory for Zahn. But the Imperial story doesn’t hold the Clone Wars story back – it makes it more interesting. Especially when Thrawn’s motivations in both arcs come into focus, and his relationship with the Empire. I don’t want to spoil the main revelations there, because they’re way too interesting to ruin for only a passing discussion. Zahn also added a few nice remixes in the Imperial plot line. For one, the Watson to Thrawn’s Sherlock was a lady Imperial for once – Commodore Karyn Faro joins Captain Gilad Pellaeon (ugh), Captain Dagon Niriz, and Commander Eli Vanto in that key role. 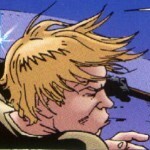 There’s always a character who plays Thrawn’s protégé, but it always seems to work. And refreshingly, Darth Vader isn’t quite portrayed as a mindless brute in this book – although the book notes that Vader can play to someone’s preconceived biases when it suits him. You didn’t think I’d write this whole thing without a discussion of Padmé, did you? Her role in this book deserves comment all on its own – especially given that Padmé tends to get short shrift in storytelling a lot of the time. 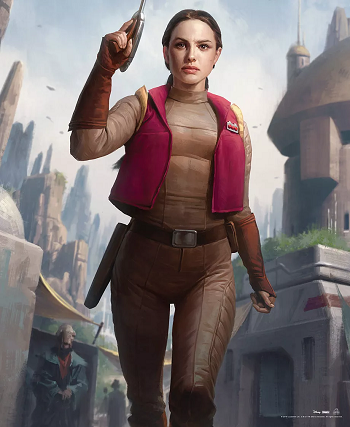 The very recently announced Queen’s Shadow by EK Johnston from Disney-Lucasfilm Press is long overdue and very welcome, but thankfully we get Padmé POV scenes in Thrawn: Alliances too. It’s definitely something new – Zahn’s written prequel-era books before (Outbound Flight), but he’s never written Padmé before. Yet it shouldn’t have surprised anyone that he’d want to use her in this story – Tim Zahn isn’t only the guy who brought us Thrawn, he also brought us Mara Jade. He wasn’t likely to forget Padmé’s key place in Clone Wars era stories. Padmé-centric arcs in TCW storylines tended to be my favorite, and Thrawn: Alliance does rather feel like a Padmé led episode. Like the TV show, it’s still an ensemble storyline, but the senator’s actions initiated the plotline and her choices influence what happens (and more than just because of her relationship with Anakin). What I like about Padmé’s arc in particular is that her own actions are driven by her personal motivations and beliefs – the whole adventure starts because of Padmé’s desire to support her handmaiden, Duja. Padmé’s engagement and relationship with the locals on Mokivj puts her in the position to unit with Anakin and Thrawn and adds additional heft and texture to decisions made at the outcome of the mission. I like that Anakin was ostensibly on a rescue mission for Padmé — but Padmé extricates herself successfully through her own quick thinking and diplomatic skills. Zahn puts thought into her POV – she’s not just an action hero, but she’s also an experienced diplomat and this plays a role on her ability to blend in with the natives and perform her mission successfully. It’s a little thing, but it stuck out to me that Padmé was aware that she wasn’t familiar with local customs and ways of speaking and would stick out like a sore thumb. It’s something she would think about, and I like that she did. Her past experience is important to her actions – both her knowledge of her handmaidens and the seriousness in which they take their missions, to her familiarity with royal weaponry from her diplomat’s blaster (my favorite weapon in Star Wars, the elegant ELG-3a) to the S5 Ascension gun from The Phantom Menace, which definitely comes in handy. Speaking of references to the past, I did one to mention one neat continuity reference here. In the first chapter of Heir to the Empire, Thrawn employs the Marg Sabl closure manuever – an apparently well-known tactic – against an Elomin fleet commander because he’s figured out that species can’t handle an unstructured attack pattern (or something like that). Years later, the Marg Sabl is namedropped on The Clone Wars when the tactic is employed by Ahsoka Tano. In Thrawn: Alliances, Thrawn asks Padmé about the tactic and she tells him about the tactic and how Ahsoka invented it (we learn the Marg Sabl is a Togrutan flower). Thrawn files the tactic away for future use. Did you see what happened? It turns out that Thrawn’s iconic tactic from his very first EU appearance was invented by Ahsoka Tano, and Thrawn learned to use it. Heir is in the Legends continuity of course, but it’s still a wild connection that Zahn has just made and I love the idea to tie Thrawn’s iconic tactic to Ahsoka like this (paying it forward for the namedrop? Who knows!). It’s also great that a tactic used by Ahsoka in the Clone Wars is famous enough that Imperial commanders regard it as a standard manuever. I could’ve written my whole piece on Padmé’s role in this book, but I wanted to highlight one more thing. 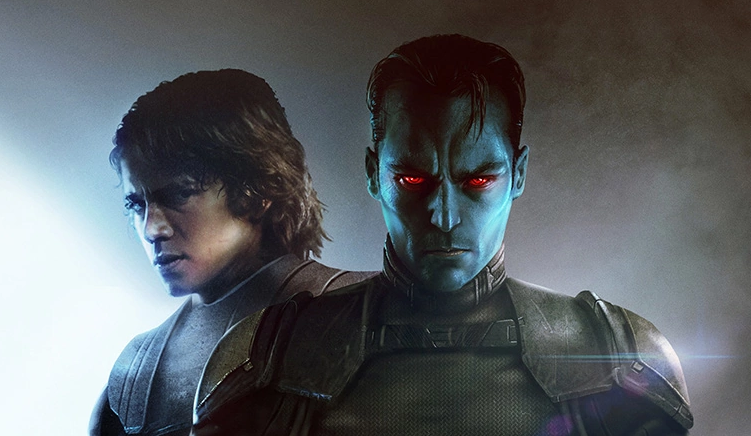 Thrawn gets a lot of hero worship sometimes – by fans, and by characters in universe. Even Vader and Anakin end up being impressed by him. But when Padmé first meets him? She’s unimpressed. In fact, she’s downright disgusted with the coldness that he exhibits. I really like that. So many Star Wars characters get overawed by Thrawn, but not Padmé — she sticks to her beliefs and does not appreciate when Thrawn does not reflect her sense of honor, duty, and care for others. Though she later learns to work for him, I think it’s important that Padmé stood for important things. That’s the Padmé I remember from The Phantom Menace, a strong, principled character. 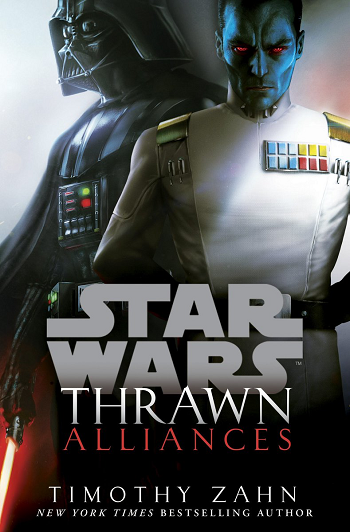 Thrawn: Alliances is better off for connecting Imperial-era Thrawn and Vader to the Clone Wars era. The book uses its alternating timeline to enhance and layer the story, and the story is better off for it. Star Wars, too, is better off for the nuances that the different eras of storytelling shed on past and present. Food for thought perhaps: we don’t have to like every character and every era, but we should never write them off. We can find good stories if we keep an open mind. We may want to see more of what we liked, but “same old, same old” isn’t the answer. Thrawn: Alliances ended up being an enjoyable read because it wasn’t just a Clone Wars story or just a Thrawn story, but it used both of those elements and more to weave together something very interesting. Really good point about Padmé being the one character not that into the Thrawn Kool-Aid. One of my favorite little details in the novel. Great analysis. I really enjoyed the story, and found the Grykes to be an interesting threat too.